Am I looking at a Hillary or a Trump rally? I was born in 1999, barely making the cut to qualify as a “’90s kid.” Yet, I do not group myself with millennials (also ’90s kids), and identify much more with Generation Z, the current generation. We are considered “digital natives”, growing up with technology and smartphones as soon as they reached our little fingers. I still remember my fascination with the first iPod Touch, playing numerous games on it to keep me occupied during a plane flight. Unsurprisingly, this also means we have short attention spans; we multi task. I admit, I too am guilty of this. It’s unsurprising to many of us that we check our phones more than 150 times per day and send out billions of texts and emojis, usually getting news though social media, such as Facebook or Twitter. 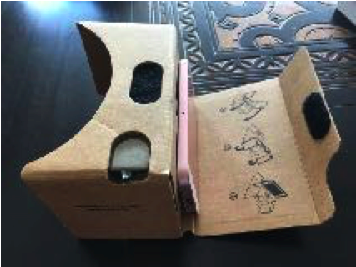 Sitting down and reading the traditional newspapers was uncommon until I received a New York Times special – their Google Cardboard virtual reality headset. Thank you mom for subscribing to their Sunday print edition! It was quite easy to assemble the VR headset. As the name suggests, it was literally made of cardboard, some Velcro straps, and a rubber band to keep the phone attached. It just required the NYT VR app to run, and after aligning my iPhone 5 SE against the corrugated cardboard and folding the flaps, I found myself with a perfect VR headset. The mechanism completely blocked my peripheral vision, leading to some funny photos taken by mom. Inside the headset, a pair of plastic lenses transformed the flat 2D images into the illusion of an immersive 3-D environment. In an instant, I was transported to a presidential rally without leaving my home in Hawaii. It was exhilarating! There’s a huge difference between simply reading an article about the passionate presidential rallies and actually being “there” alongside the college students chanting “burn, baby burn” and fiery supporters, I could feel the energy and was emotionally invested. Looking around, you could clearly see faces in awe of their respected candidate. No wonder 600,000 subscribers downloaded the app and won the New York Times the Mobile Grand Prix prize. Welcome to the 21st century of news reporting! 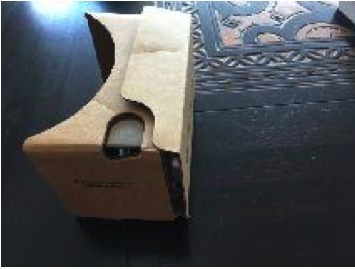 The Google Cardboard VR headset with my phone inside. So easy to assemble, even my mom could do it! 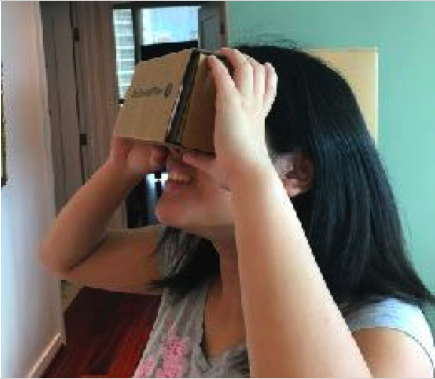 The public perspective on VR and AR has changed dramatically in the past three years. In 2014, when Facebook bought the virtual reality headset technology Oculus Rift, skeptics said it was a passing fad. I don’t think so. For Generation Z-ers like me, technology is the defining characteristic of our daily lives. 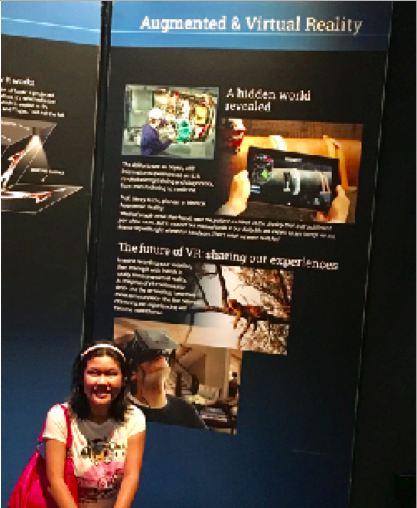 A recent article in the Inc.
Magazine revealed that more than 41% of Gen Z have used VR technologies like Google Cardboard, the Oculus Rif and Samsung gear, with 12% of them using them daily, particularly in gaming. 90% of us have smartphones and use social media, but we’ve already outgrown Facebook! We prefer the disappearing messages and aesthetic photos found on Snapchat and Instagram instead. People shouldn’t lump us in with the Millennials either. We are way bigger! According to HRC Retail Advisory’s report, “The Emerging Generation Z Powerhouse,” Gen Z will represent 40% of U.S. consumer spending in the next three years and is positioned to become the single largest group of consumers worldwide. The National Retail Federation and IBM’s Institute for Business Value also predicted that we currently hold $44 billion in buying power (as in allowances). So move aside, Millennials! It’s Gen Z’s turn to shine now. just what you’re buying, but also how will your thousands of Instagram followers react! Businesses will need to create a personalized, interactive experience if they hope to cater to this empathetic, mobile-focused, high-spending demographic group of Gen Z. So are you VR or VRn’t?